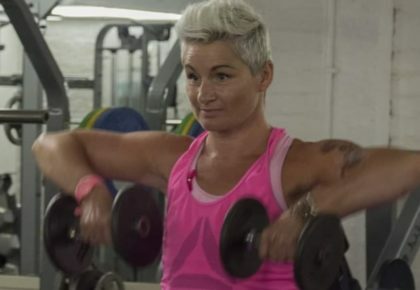 My name is Gemma Price, I’m a 36-year-old mum of 2 girls aged 12 and 15 and the founder of women’s boxing club Boxing Pretty. I was introduced to my youngest daughter’s dad through a friend – we met on a blind date – I already had a daughter and my relationship with her dad ended and I’d been on my own for a while – then I met him. He started off so nice, couldn’t do enough for me and my daughter, won me completely over – my dad wasn’t too keen on him. He was head to toe in designer clothes, a proper lad. Things got serious pretty quickly, he suggested I move out of my mum and dads and get a house for us – he was willing to move from Bristol to Cardiff to be with me – I was flattered. So, I did – he moved his stuff down and things started to take a turn – friends would call to the house and he would make them feel uncomfortable – he took 1 of my friends’ cars to Bristol and it was involved in a crime – he had kidnapped someone using her car – the police informed her. Slowly he started picking my friends off, 1 friend who I had been friends with since the age of 13 he accused of trying it on with him – this was untrue – safe to say my friends stopped calling to the house – they said they couldn’t be around him. I made excuses regarding his behaviour. They knew what he was doing – I just couldn’t see it. He did the same with my parents – slowly his behaviour made them stop coming to the house. My eldest daughter never wanted to be at the house if he was there – then I became pregnant. His behaviour didn’t change – he would question my every move, check my phone, take my bank card and empty my account so I wouldn’t have money to go anywhere. I slowly found myself on my own with no one to turn too. He had isolated me from everyone. I had armed police call to my house and raid it, I had my car stopped on the motorway by armed police – this was the type of man he was – he was dangerous and had no fear of the police. After my daughter was born he physically beat me – she was 10 days old, I was already hurting. We had gone out to celebrate his birthday in Bristol – he beat me outside of a bar – no one helped, his mum didn’t believe he was capable of it. 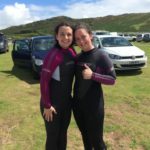 I remember packing up my daughter from his mum’s house at 4am and driving back to Cardiff with vision in 1 eye, black and blue, crying the whole way – I knew I just needed to get away and get home – I had to face my dad the next day. He was furious that this had happened – I remember clearly saying to my dad – “don’t do anything to him – I need you to take the girls if he ever kills me, I need you here to look after them” at that point my dad told me he couldn’t stand by and watch me live my life like this. He said until I walked away – he couldn’t be in my life. As a daddy’s girl – this hurt more than any beating. During all of this I held down a full-time job and tried to be the best mum I could – for me leaving was so much more dangerous than staying. He had already threatened to kill us all if I left – not just me, he threatened my children too – 1 being his own daughter. In December 2012 he had gone to Bristol for Christmas with his mum to my relief, whenever he went I had a glimpse at what a normal life would be like without the constant knot in my stomach or the walking on eggshells feeling I had whenever he was home – New Year’s Eve I had a phone call from a young girl from his phone – she informed me she had just had his baby, they were all celebrating the New Year at his mums – my world fell apart. I spent the whole day in a state of shock wondering what I had done wrong, what had I done to cause him to cheat? I had always done everything he wanted, washed, cooked, cleaned, took care of everything, visited numerous prisons when he was inside – turns out I had done nothing wrong – this was all his doing. That day he called and told me I was over-reacting – this doesn’t warrant us breaking up – he had cheated and told me I was over-reacting!! He didn’t call for 2 weeks from then – in that 2 weeks I became the most angry and confrontational person ever and that’s so out of character for me. I just felt years of beatings, emotionally being told “no one will love you”, “you’ll never amount to anything”, “who’s going to want you” – I couldn’t even stand in a queue in a supermarket without wanting to punch anyone who looked at me or my children. The caretaker of the school I was working in ran a boxing gym – he told me to come along as he could see I really wasn’t myself – he told me in no uncertain terms if I don’t do something about my anger – I’d be looking at a prison sentence. I’d always loved boxing – it was something I’d stay up until the early hours watching with my dad. 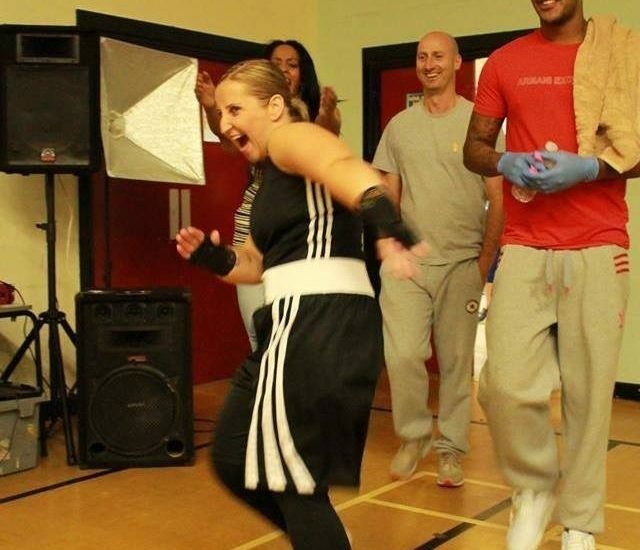 The first time I put the gloves on and punched a punch bag I was on my own – I remember crying as years of anger and built up frustration as to what I had allowed to happen to me came pouring out – I had found a release. I knew if I felt like that there must be other women who do too. Turns out there are hundreds. Domestic Violence and Violence Against Women, most women don’t speak out about as it’s a shameful thing and the hardest thing to talk about. 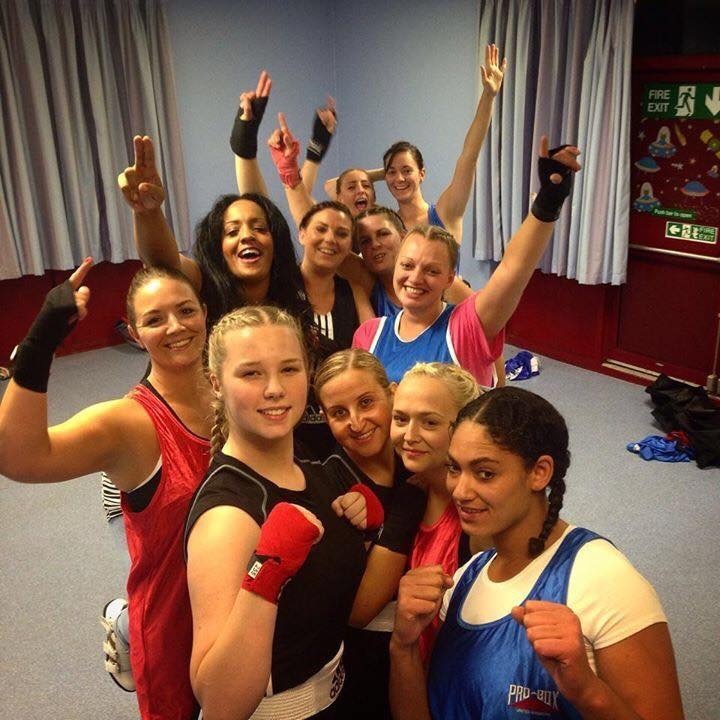 Hence how and why in 2014 Boxing Pretty started (an all-women’s boxing class) – I wanted women to have a safe place, a place to come to safely take out any anger or frustration they had in a controlled and safe way and a space to talk if needed. Since 2014 I have put on 3 all women’s boxing charity fight nights and raised just under £15,000 for local causes. I was the first women in the country to do this! Since the beginning Boxing Pretty has grown from strength to strength – from starting with 6 girls up to 30 women and girls now train over 4 classes a week. 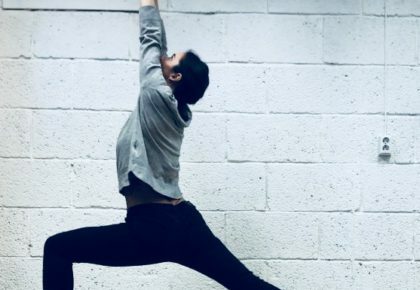 Not all have been through the same or a similar situation – most come to keep fit, to gain confidence, to feel empowered and to make friends – it’s a social space as well as a place to exercise and get a full body workout. For me if it helps just 1 woman feel empowered – I know I’ve set out to do what I wanted to do. For any further information follow the Boxing Pretty Facebook or Instagram pages.